1. What Is an Employee Bonus Plan? 3. Do Employee Bonus Plans Work? What Is an Employee Bonus Plan? An employee bonus plan provides compensation beyond annual salary to employees as an incentive or reward for reaching certain predetermined individual or team goals. The purpose of bonus plans is to provide recognition for employees who go above and beyond normal work obligations. The concept of performance-based rewards as a way to create a competitive edge and drive up company profits is not new. From the late 1800s to the 1920s, in a period in American history called the scientific management era, business concepts like compensation management were developed. Henry L. Gantt, who conceptualized the bonus system, asserted that the focus of an employee bonus plan was on cooperation and efficiency rather than the individualistic nature of previous compensation systems. Today, the practice of motivating people through performance-based rewards is widespread. Do Employee Bonus Plans Work? 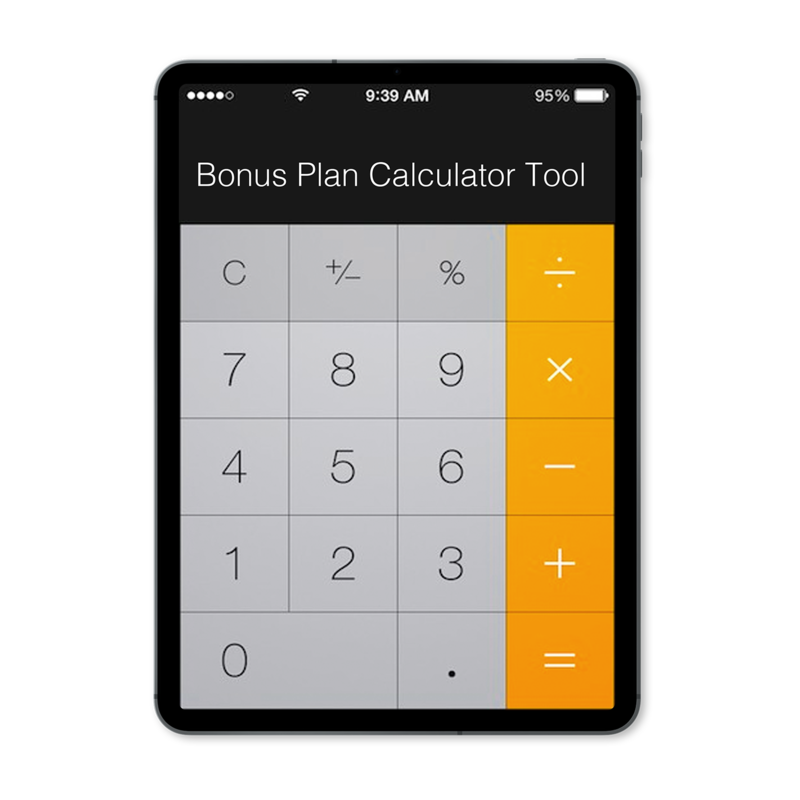 The question of whether bonus plans work as intended is debated in some circles. However, the general consensus is that when executed correctly and in the right workplace environment, yes, they do work. Studies have shown that company bonus programs have a 79 percent success rate in achieving their established goals. Correctly structured bonus payouts were also found to increase employee performance by 44 percent. What’s more, employee incentives were seen to motivate 66 percent of people to stay with their employer. This is important, as just a 5 percent increase in employee retention can lead to profitability improvements of 25–85 percent. One common concern is that the consistent awarding of bonuses can cause employees to begin viewing that money as part of their standard compensation. And when that occurs, the ability of the bonus to motivate employees to go the extra mile is diminished or lost. It is evident that not all bonus plans are created equal and that in order for a plan to be effective, the correct measures need to be put into place. Developing clearly articulated bonus payouts and tying them to discrete performance metrics is key to making your employee rewards worthwhile and to eliminate the entitlement mentality. The following are essential elements to any successful company-wide rewards program. In order for your bonus plan to be effective, you must get company-wide buy in on your goals and the rewards for achieving them. This means that you need to involve everyone in the company in the bonus plan in some way. Nothing kills morale faster than giving special privileges to some employees but not others. Don’t wait until the end of the year to determine what you can afford for bonuses and how much to give to your team. Make that determination based on profit targets early in the year as part of your annual budgeting process. Let’s say your profit target is $200,000 and you designate 25 percent of anything in excess for the incentive plan. If you achieve $250,000 in profit, the bonus is 25 percent of the $50,000 excess, or $12,500. If you use this approach, your team will know exactly what you are aiming for and what will be expected of them as the year progresses. Instead of one lump sum at year’s end, consider smaller, more frequent payouts throughout the year. Incremental rewards help keep teams focused on goals early on and regular positive reinforcement has shown to be one of the best ways to affect behavior. This may go without saying, but profit is not the same as cash. You need to be sure that you will have the cash to fund their bonuses. For example, if you offer your customers 30-day terms, consider paying the bonus 60 or more days after the bonus period ends. That way you have time to collect payments from your customers to fund the bonuses. Creating an effective bonus plan requires not only a thorough understanding of how the rewards system works but also basic knowledge of the company’s financials. Financial literacy training that shows how company financial success is tied to employee financial success is essential. Employees quickly see that if they want raises and bonuses, they will have to take action individually and as teams to fund those rewards. Effective bonus programs involve more than just monetary compensation. The desire for social recognition is also highly motivating. The effectiveness of an employee bonus system only comes into question when leadership has not designed or maintained it correctly. Leaders who are concerned with more than just increasing productivity, and who actually want to develop their employees will see significant improvements in motivation and goal attainment.